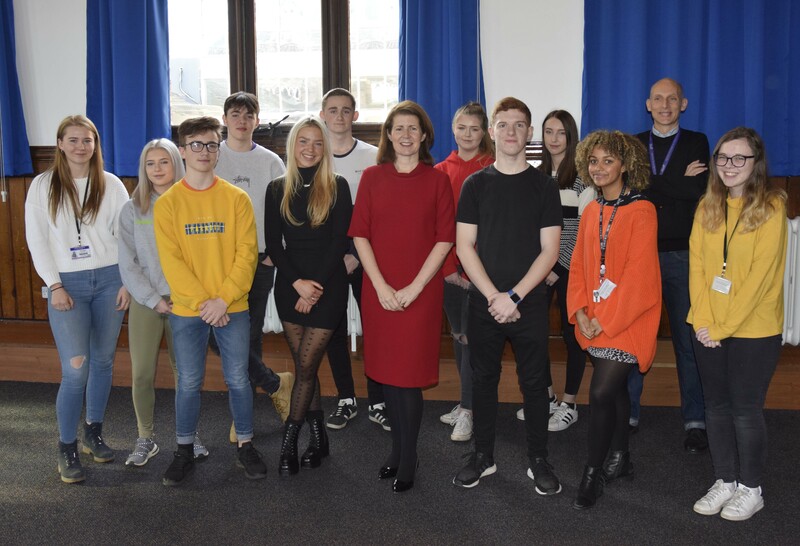 In the week where Parliament continued to debate the future of the United Kingdom following Brexit, Darlington MP and Shadow Minister for Exiting the European Union, Jenny Chapman, found time to pay a visit to QE to speak with A Level Politics students and provide an inside view on the current situation. For over an hour, the Labour frontbencher faced challenging questions from both first and second year students about the party’s Brexit plan, the possibility of a ‘no deal’ and her reservations about a second referendum. Following this, students were keen to question Jenny about other contemporary topics including her campaign to end period poverty, the prospects of a General Election and how recent events in the UK have caused a surge in the number of people becoming engaged in politics. Student, Macy Stasiak, comments: ‘Speaking with Jenny has really encouraged me to get involved in politics because, although the work of Parliament has improved in recent years, there is still plenty to do in making sure everyone’s concerns are taken into consideration’. Tony Dabb, Course Leader for A Level Politics at QE adds: ‘We are very grateful that Jenny was able to visit the College despite a hectic week in Parliament. She gave our students a unique perspective into current events, one that others won’t be as fortunate to receive’.